Trailer Hitch Covers Trailer hitches seem to be everywhere these days, but nothing is uglier than an empty hitch sticking out from a shiny, waxed bumper. Turn that "ugly duckling" into an accessory asset. 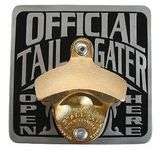 Trailer hitch covers not only add class, as well as beauty to vehicles, they can be topics of conversation or even accessories of envy. 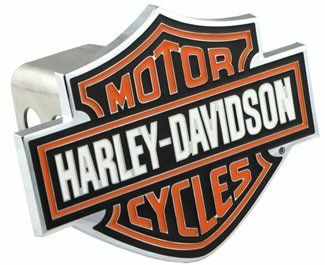 A hitch cover upgrade will also look great with one of our designer license plate frames. Our collection of unique hitch covers is growing. 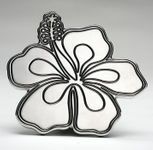 Included, are artist sculpted, LED, logo, ladies, and other one-of-a-kind designs to catch your fancy.